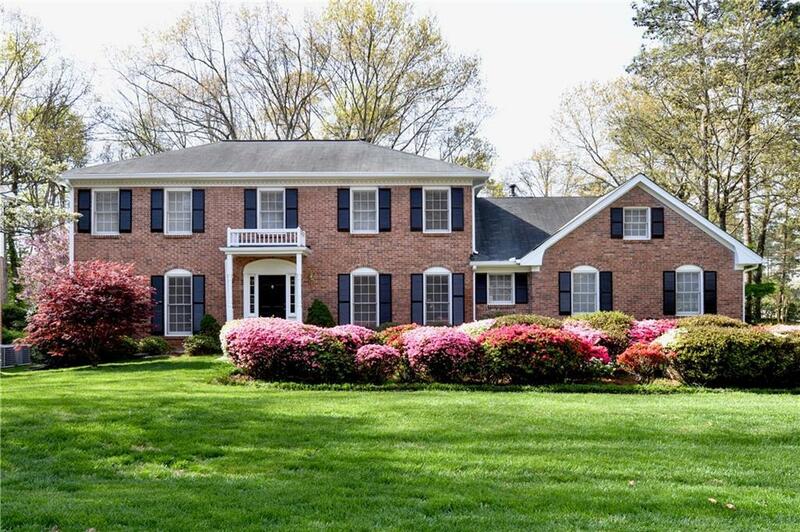 Classic 2-story beauty with a full basement in the heart of Dunwoody nestled on flat, mature landscaped yard. Stepless entry into cozy home waiting for all your personal touches. Large light filled kitchen and breakfast room with french doors to on-ground deck. Fireside family room opens to an all weather sun porch and gorgeous backyard. Upstairs there are 4 bedrooms with nice closets and large unfinished space over garage with potential for a fabulous bonus room. Close to all that makes Dunwoody great: schools, shopping, entertainment. Directions: Ga-400 S Toward Atlanta. Take Northridge Road Exit 6. Right Onto Northridge Rd. Turn Right Onto Roberts Dr. Left Onto Spalding Dr. Right Onto Dunwoody Club Dr. Right Onto Jett Ferry Rd. Turn Right Onto Mount Vernon Rd. Left Onto Tilly Mill Rd. Turn Left Onto N Peachtree Rd. Right Onto Welton Pl.